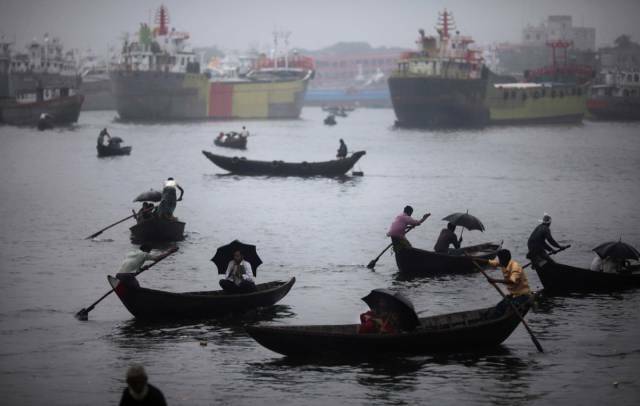 Thousands of people commute to work in Bangladesh by boat. Here, residents of Dhaka take out their umbrellas during shower. 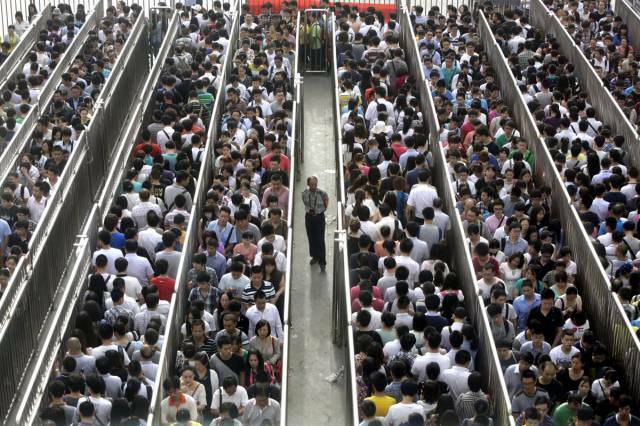 The security checks during rush hour in Beijing make for insanely long lines. 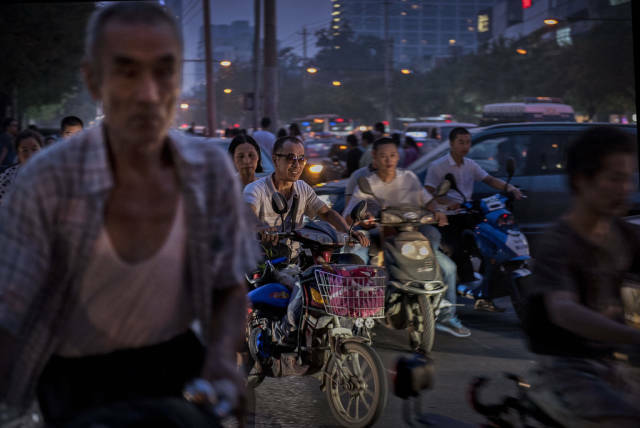 The checks have been tightened due to an attack in China's Xinjiang region, where dozens were killed on May 22. It doesn't get much easier once you're actually on the train. 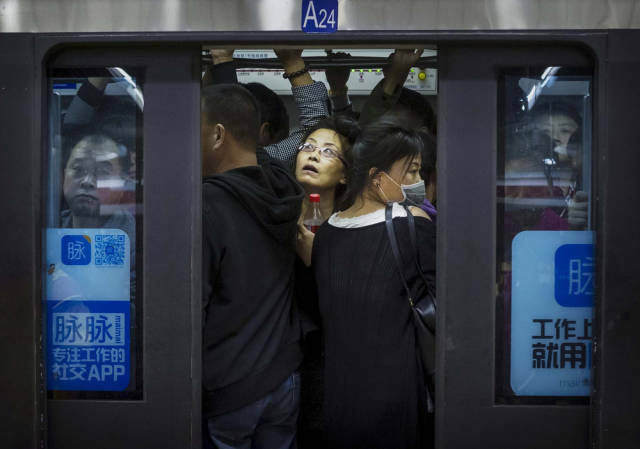 Getting home from work in Beijing is a bit of a zoo, too. 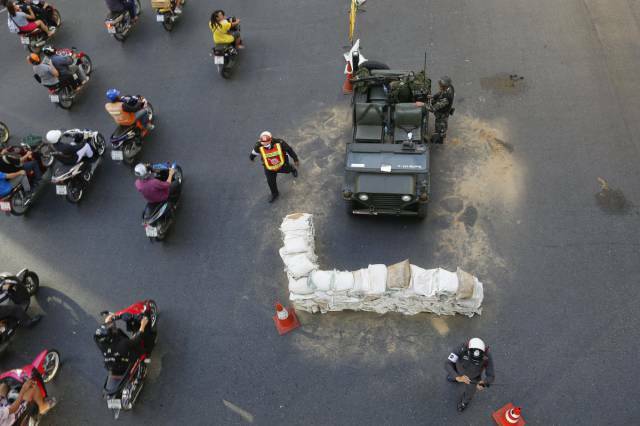 Getting to work got harder in Bangkok this Spring, given that the Thai army declared martial law and stationed soldiers in main intersections. 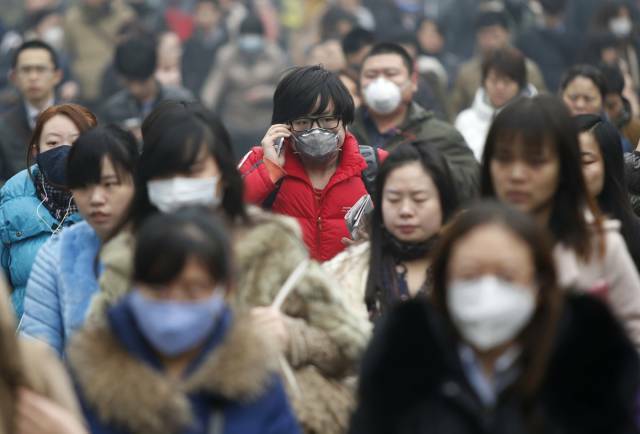 Beijing is also in the middle of a pollution crisis, forcing commuters to wade through thick smog on the way to work. 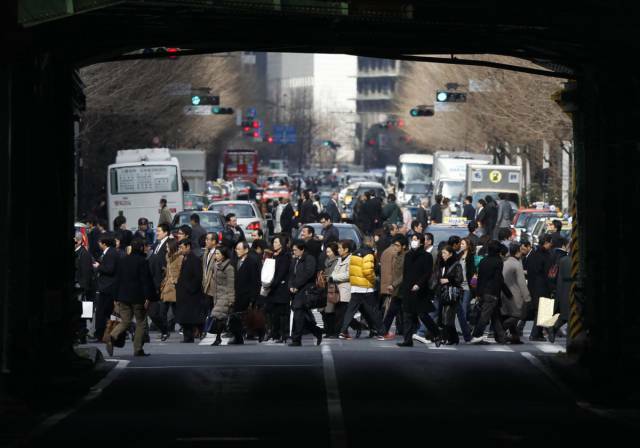 Being a pedestrian in Tokyo means having a lot of company. 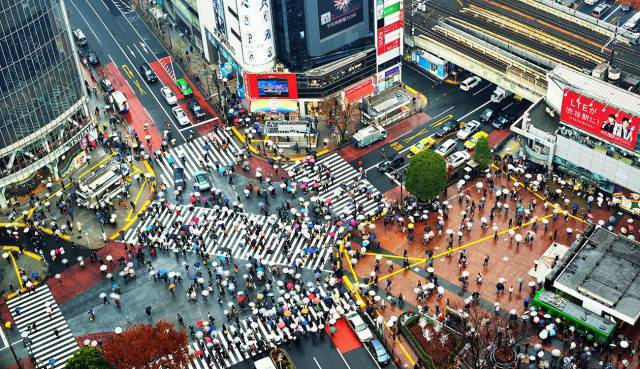 Shibuya Crossing in Tokyo is one of the world's busiest pedestrian intersections. Traffic lights go red all at once, so up to 2,500 people try to cross at the same time. 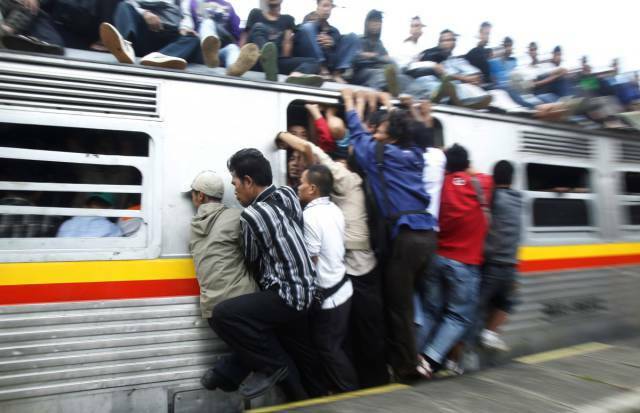 In Jakarta, Indonesia, the front of the train is fair game, too. 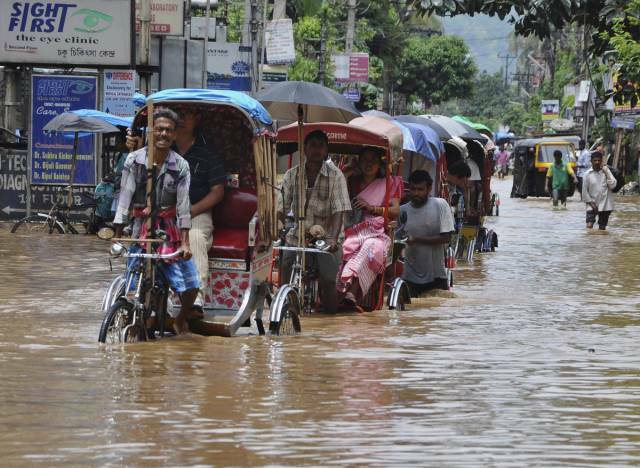 Heavy rains have flooded the Indian city of Guwahati. Yet people still have to get to work. 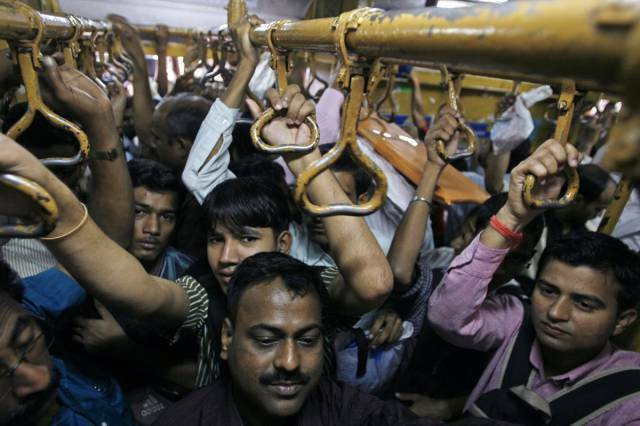 It's hard to imagine being stuck in this Mumbai commuter train. 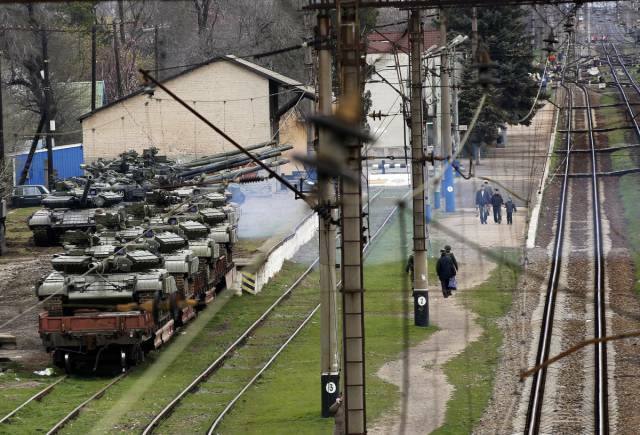 Getting to work in the Ukraine was a martial situation earlier this year. Notice the tanks ready to be shipped out by rail. 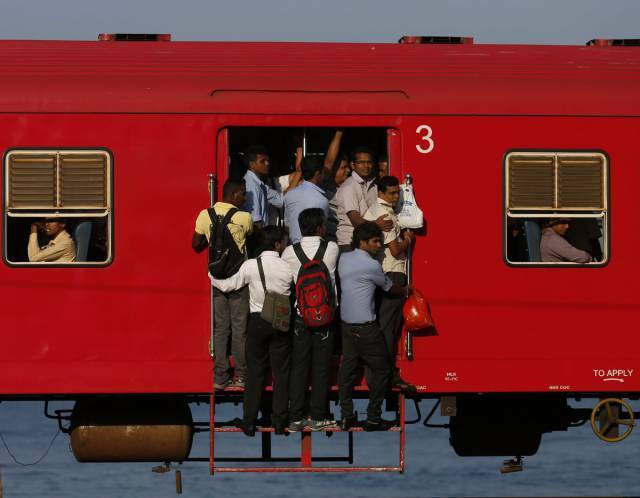 Getting on the train in Colombo, Sri Lanka's largest city, requires some patience. 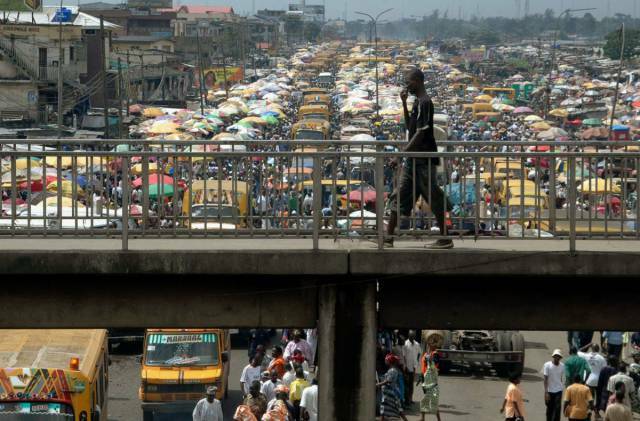 At 21 million people, Lagos has become Africa's largest city. It was only 1.4 million in 1970, so as you might imagine, traffic is a nightmare. 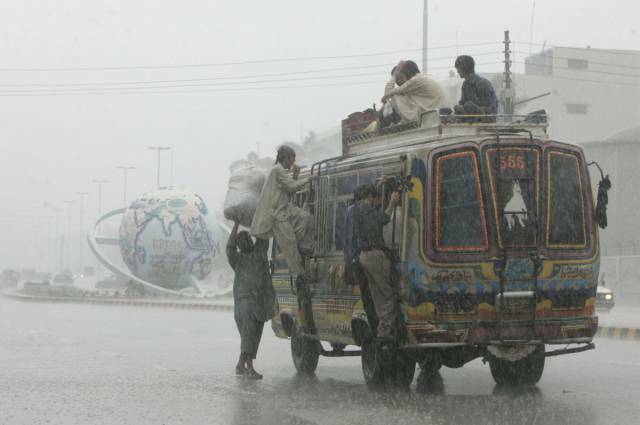 Heavy rain didn't deter these men in Karachi, Pakistan, seen riding on the outside of a bus. Trains in Indonesia's West Java province, where just 300 cars serve 500,000 commuters each day. 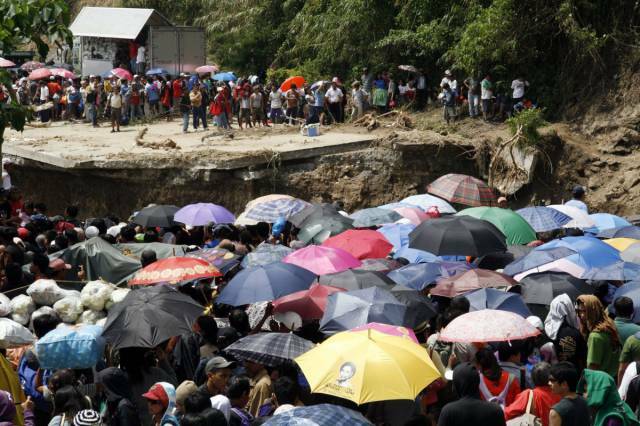 Commuters were stranded after a 2009 typhoon washed out a chunk of a Philippines highway north of Manila. 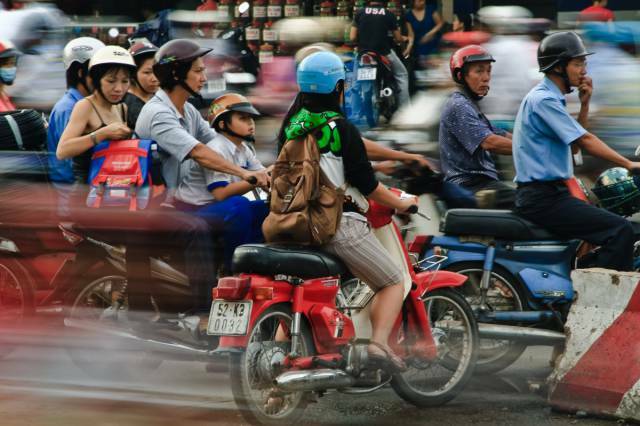 There are more than 37 million motorbikes in Vietnam, so rush hour in Ho Chi Minh City is a blur. 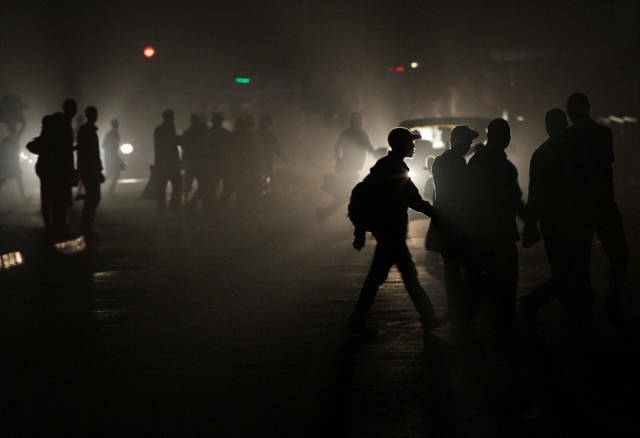 A lack of infrastructure makes commuting in Mbare, Zimbabwe, an ordeal done in darkness. 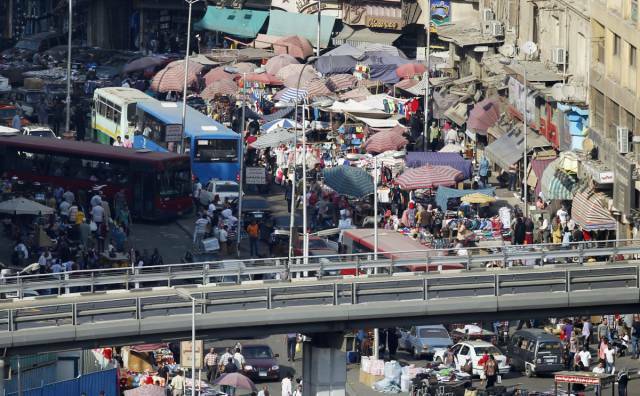 The congestion in Cairo, Egypt, gets so deadlocked that you can't tell where the traffic ends and the market begins. 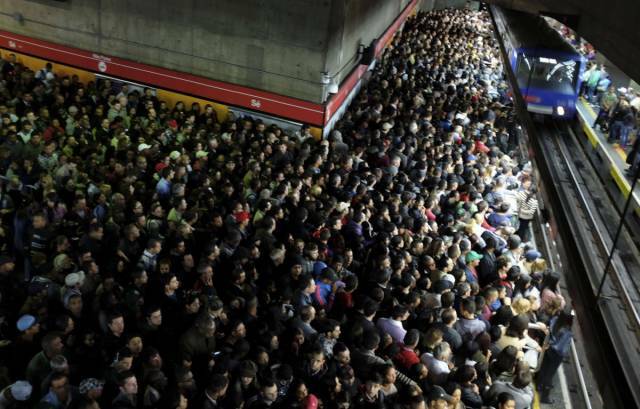 A May bus driver strike in Sao Paulo, Brazil, made the morning commute even more congested than usual here are the human-laden escalators in one subway station. 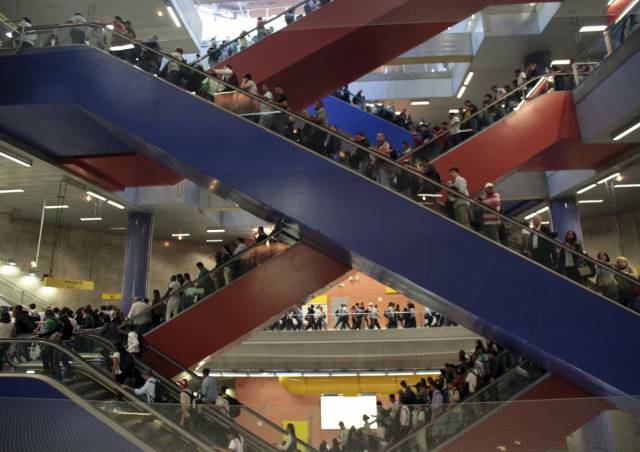 Sao Paulo is home to some of the world's biggest traffic jams, and its subway stations are a bit overcrowded. 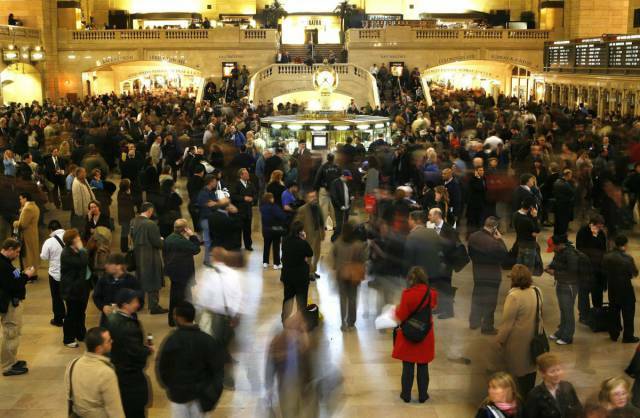 At peak times, New York City's Grand Central Terminal gets pretty crazy. 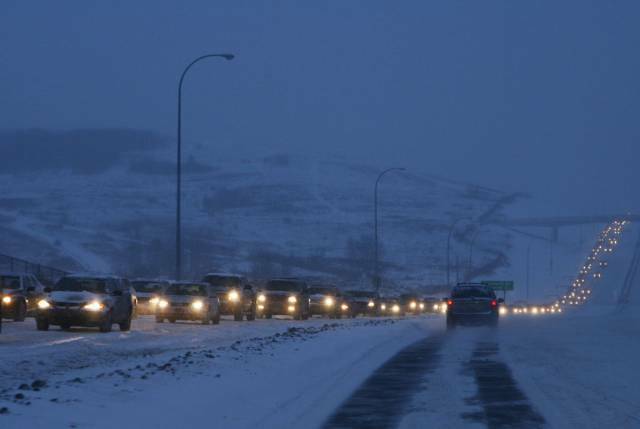 A winter snowstorm brought afternoon traffic to a standstill for hours in Calgary. 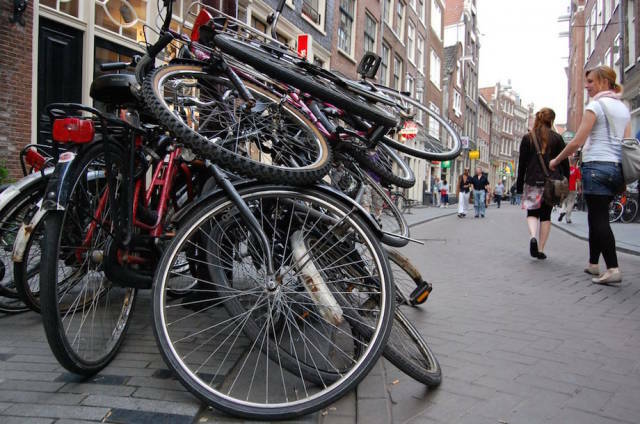 In the Netherlands, about 25 percent of all commutes are made by bicycle. This means that bike parking in Amsterdam gets pretty creative. 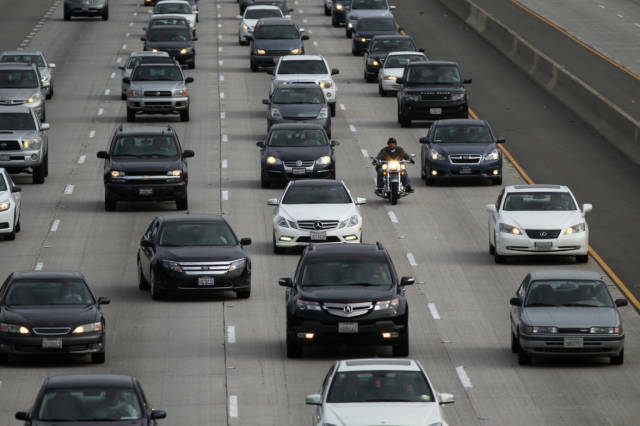 Los Angeles motorists suffer from the worst traffic in the US, logging 90 hours a year behind the wheel.